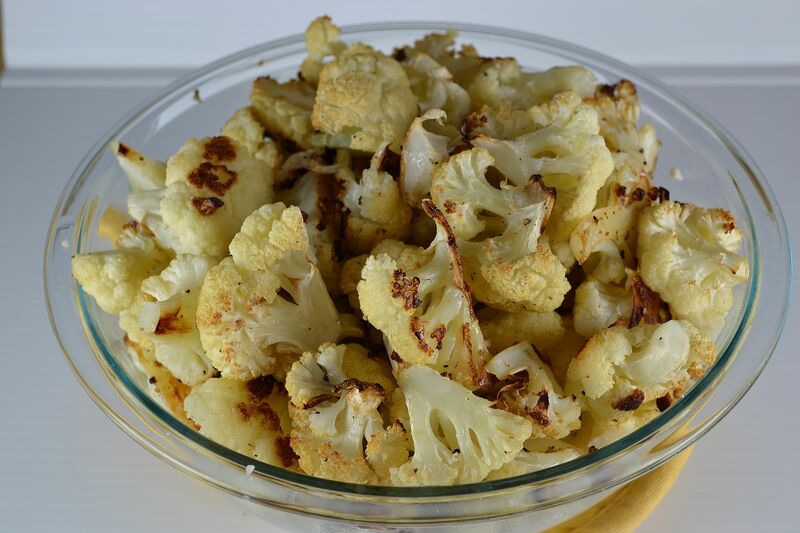 Preheat oven to 400 degrees F. Cut cauliflower into florets and put in a single layer in an oven-proof baking dish. Toss in the garlic. Sprinkle lemon juice over cauliflower and drizzle with olive oil. Sprinkle with salt and pepper. Place the pan into the hot oven and cook, uncovered, for 25-30 minutes, or until the top is lightly brown. Test with a fork for desired doneness (should be able to easily pierce the cauliflower). Remove from oven and serve immediately.